Learn to defend yourself, get fit, have fun! Kung Fu Gold Coast classes for beginners through to advanced. 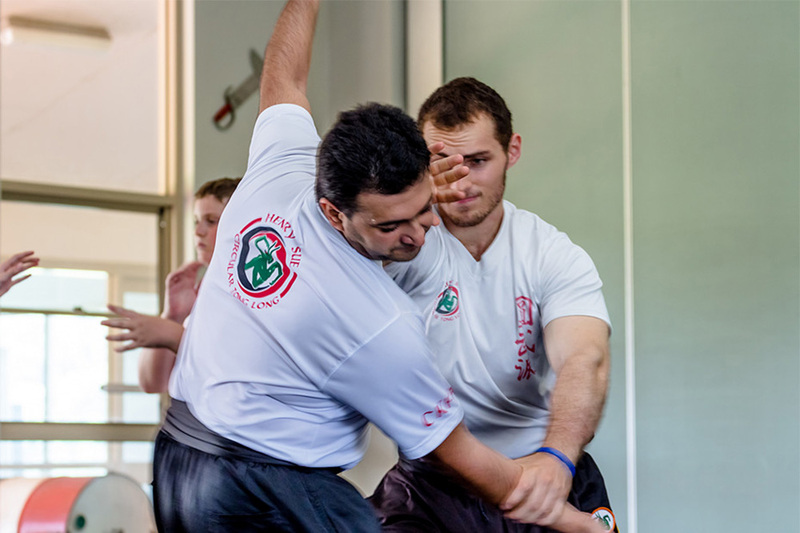 Learn a fast, direct and effective fighting style in our Circular Tong Long Kung Fu Gold Coast classes. Built upon the ancient Kung Fu styles of Southern Preying Mantis, Eagle Claw and Cotton Palm, this modern take incorporates the principles of Yang and Chen Tai Chi. Understand how to deliver maximum power through correct internal and external body mechanics and positioning. 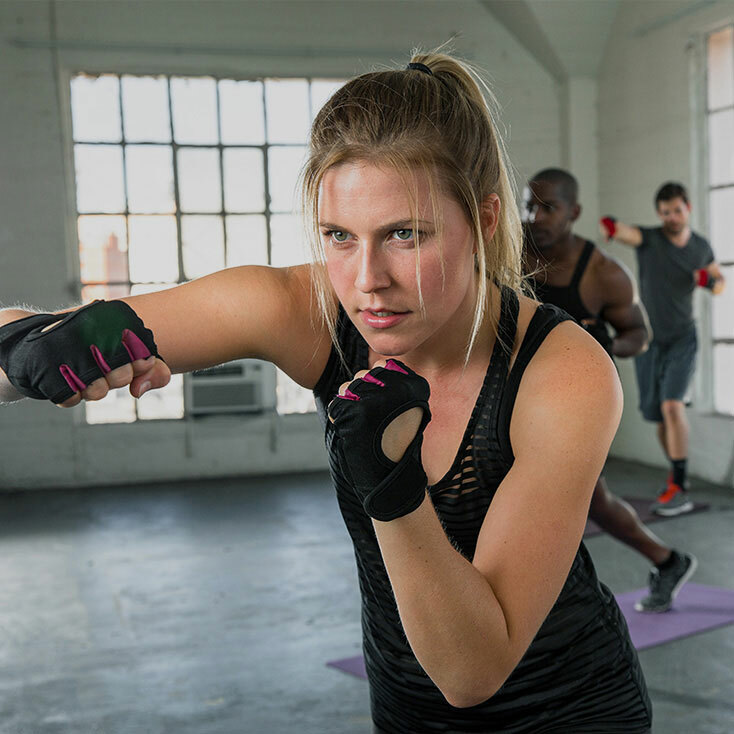 Learn how to produce devastating power in strikes from a very short distance via the progressive practice of Ying (shape), Yi (mind), Hai (breath), Sun (focus) and Gung (power). Classes are under the tutelage of 6th degree master Sifu Marc Webster. As one of only two 6th degree masters in Australia, you can be sure you’re in experienced and knowledgeable hands. Not sure if this is the art for you? Our four-week introductory course will give you a taste for our system of martial arts and our professional, supportive and friendly club. 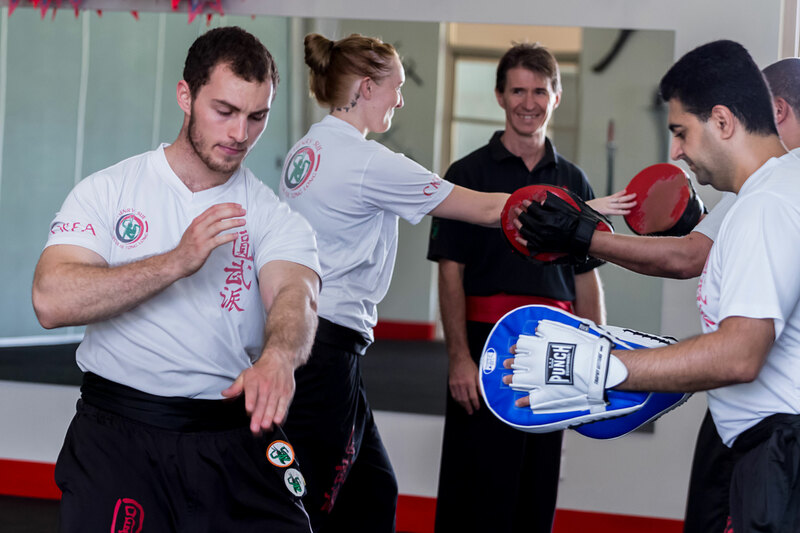 Our Kung Fu Gold Coast introductory course caters for everyone—men and women—of all skill and fitness levels, with no previous martial arts experience required. 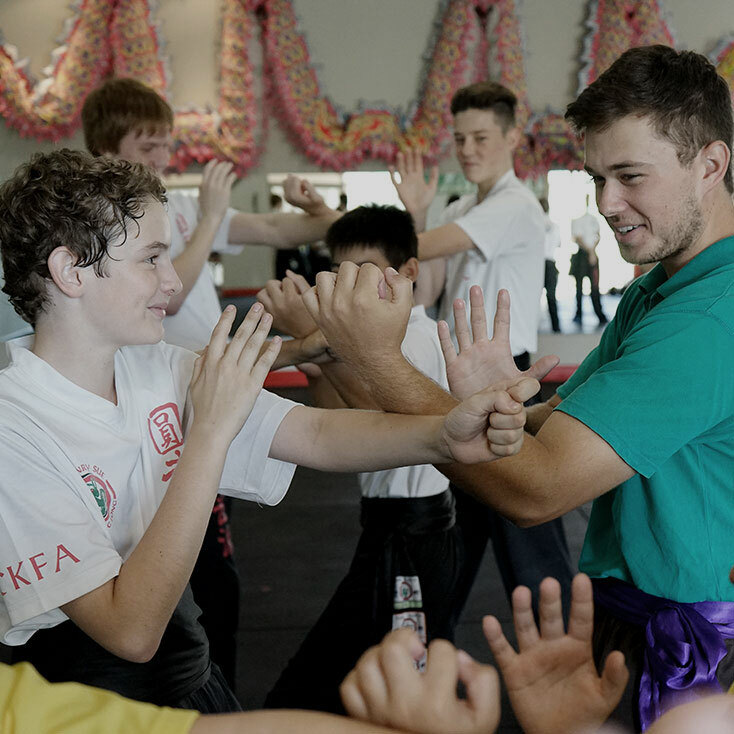 If you do happen to be coming from another martial arts or Kung Fu Gold Coast school, you’re sure to learn something new, fun and dynamic in our unique classes. Through the four weeks, get a feel for the basic warm ups, conditioning drills, Kung Fu fundamentals and Circular Tong Long principles. We’ll also incorporate the Doon Gwun (short stick) to enhance your understanding of the body mechanics required to generate maximum power. Martial arts Gold Coast classes for kids! 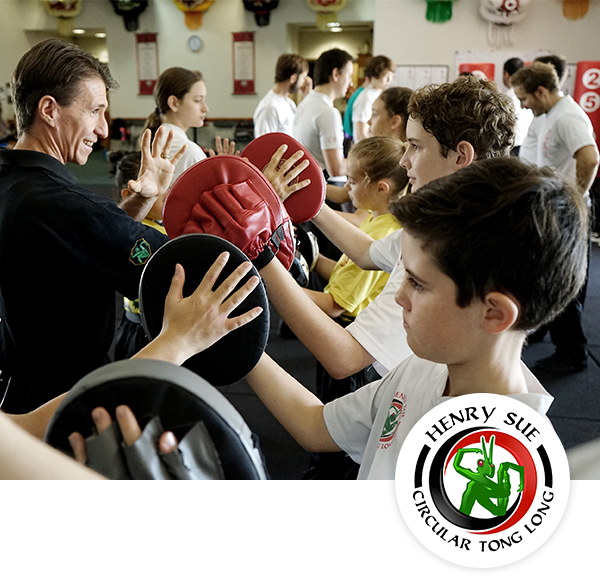 This is a modified version of the adult Henry Sue Circular Tong Long Kung Fu practice with a focus on morality to develop self-confidence, character, behaviour and attitude. The perfect way to improve concentration and calm your mind while increasing bone density, lung capacity, flexibility, joint mobility and leg strength. Tai Chi is a practice for young and old alike! I practise Vipassana meditation daily and wanted to increase my knowledge of internal and external energy. Qi Gong had always been of interest for me so with some research I soon discovered Sifu Marc Webster and FitLife. After a few classes I was immediately hooked to the beautiful art of Qi Gong, I always leave the class calm and energised. I soon discovered the depth of the Chinese Arts, and FitLife has it all! I started Tai Chi on top of the Qi Gong and before I knew it I was training Kung Fu. I can honestly say that Sifu Marc Webster is a wealth and a depth of knowledge not only in Martial Arts but also the internal energy field of Qi Gong and Chinese medicine. I have tried several Martial Arts in my 38 years but none have I enjoyed more than Henry Sue’s Circular Tong Long, it is a vast sea of intricacies and a beautiful dance of energy. I’m lucky enough to have found something that I love! Thanks Sifu and all the instructors at FitLife for introducing me to this art and I look forward to the journey ahead of me.